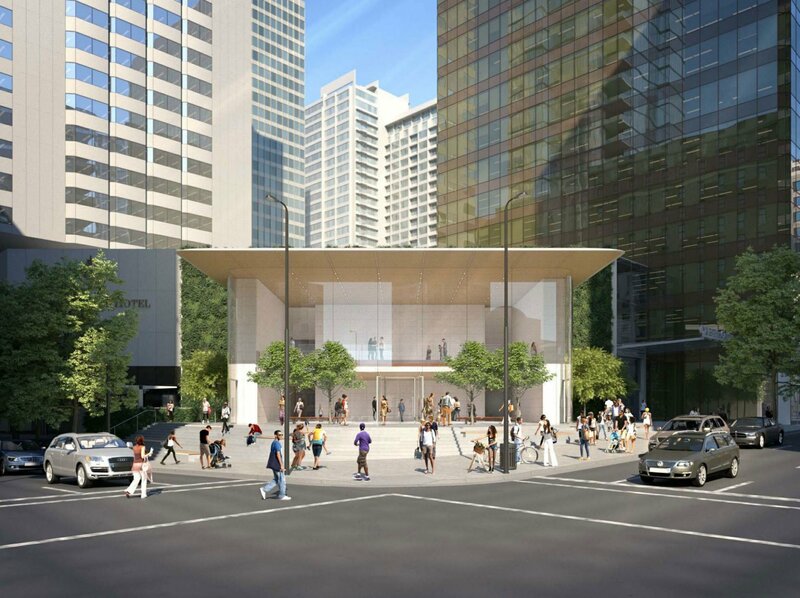 Speculation is heating up that a new retail building slated to replace the rotunda at CF Pacific Centre could be a long-awaited downtown Vancouver Apple flagship store. 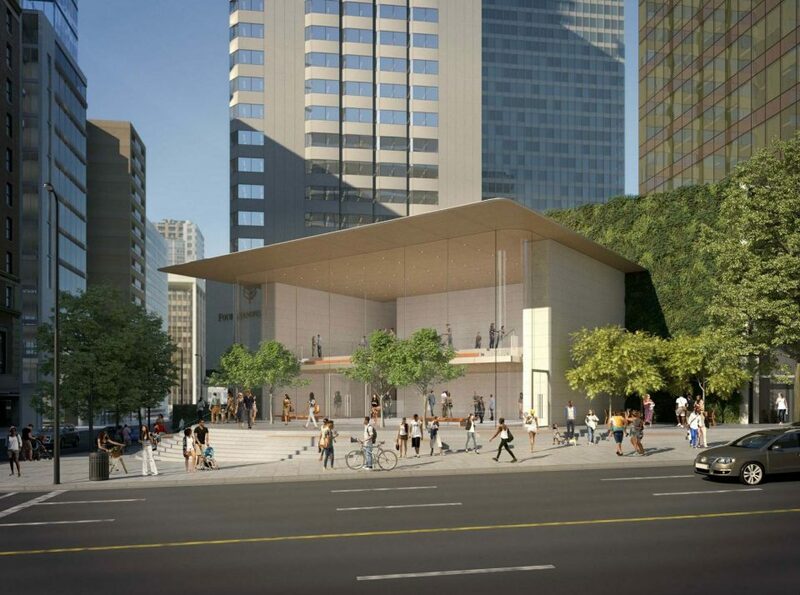 Sources have confirmed to urbanYVR that Apple was recently in talks with landlord Cadillac Fairview about creating a significant flagship space at the corner. 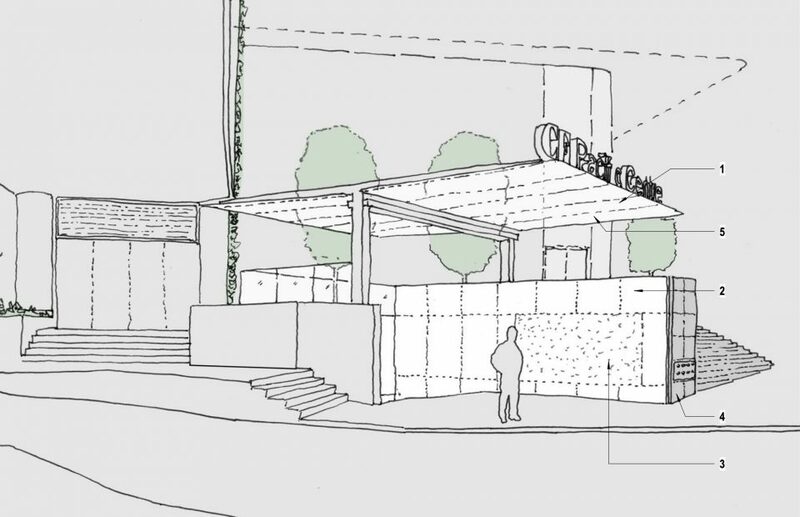 Now, architects Perkins + Will, on behalf of Cadillac Fairview, have applied for a development permit to construct a two-storey “pavilion” building to replace the rotunda. 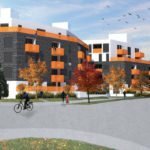 The building will be clad in warm limestone, wood soffits and metal panel roofing. New steps in front of the pavilion will be granite, with building deliberately oriented at a 45 degree angle towards the new Vancouver Art Gallery plaza, known as the šxʷƛ̓ənəq Xwtl’e7énḵ Square. 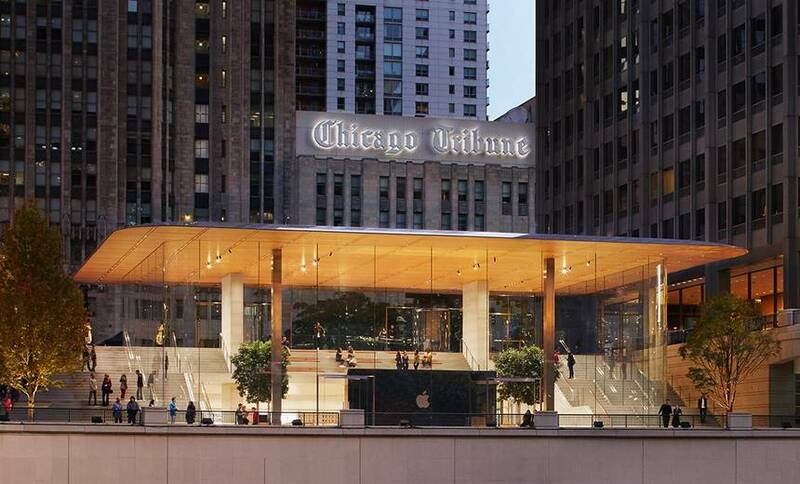 The two-storey building is similar to Apple flagship stores around the world, in particular the new Chicago store. 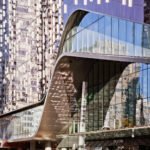 Both buildings feature large, double height glass windows, wood soffits and a metal roof. 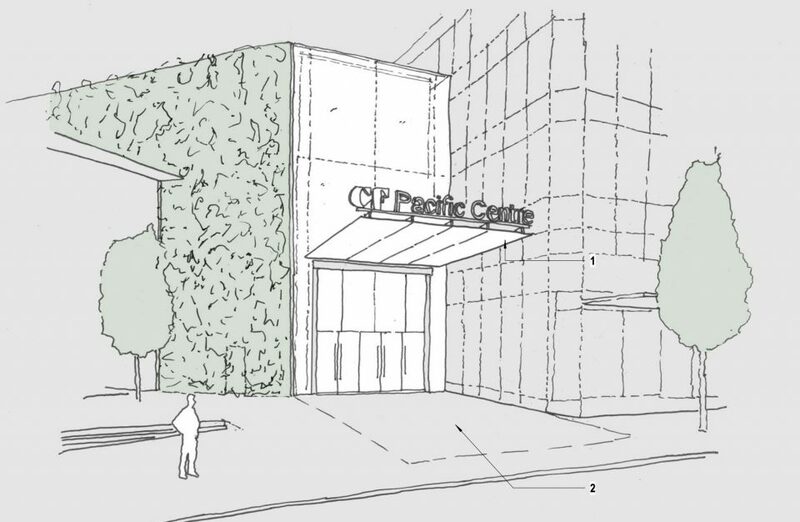 There will also be a multi-storey green wall, which will capture rainwater runoff and provide a compelling, natural background to the building. 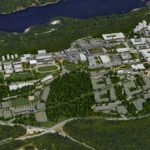 A new mall entrance will be created between the pavilion building and the adjacent office tower, and an existing mall entrance on Howe Street will be significantly upgraded. 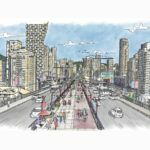 With the existing Apple store in Pacific Centre doing brisk business in a small space, it’s highly likely that the building is indeed the future downtown Vancouver Apple flagship. 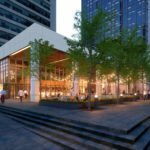 The new building is one of many changes coming to CF Pacific Centre — construction is currently underway on a refreshed façade for the H&M store on Granville Street, plus the Four Seasons hotel will be closing permanently on January 31, 2020, after Cadillac Fairview declined to renew the hotel’s lease. 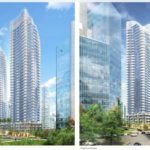 The Four Seasons brand is expected to move to another downtown Vancouver hotel building, with an announcement expected ahead of the January 2020 closure.